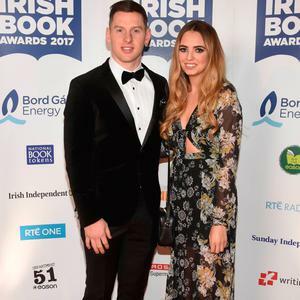 Dublin ace Philly McMahon is known for his toughness on the football pitch but how he popped the question to girlfriend Sarah Lacey this weekend has shown his more romantic side. The Ballymun footballer couldn’t have timed it better, going down on one knee as the Northern Lights shone in the Icelandic sky. The loved-up pair are currently enjoying a romantic getaway to Reykjavik,and today Philly shared a cute photo of them beaming and bundled up in hats and scarves after he proposed under a phenomenal green sky. He captioned it: "She said yes under the Northern Lights!" Philly (31) has been dating PR guru Sarah for the last four years and the couple now live together, buying their first home together earlier this year in Ashtown, Dublin 15. Many of Philly's Dublin teammates were quick off the mark to wish him well. "Congrats guys," wrote Bernard Brogan, while another Ballymun man, Dean Rock, also sent his well-wishes to the happy couple.